Education and learning is much more than just what takes place in the classroom. NAFL-NPS North gives students the opportunities to develop their creative and social skills through a wide variety of activities. We also encourage students to take initiative and add to the list of co-scholastic activities offered in school. Arts education refers to education in the disciplines of music, dance, theatre, and visual arts. Artistic pursuits produce thinking patterns and abilities that transfer to other areas of life. A student who expands his artistic sensibility sees the world from a different perspective. NAFL-NPS North Arts teachers aim to advance student creativity, visual communication skills, artistic technique, and aesthetic sensibility. 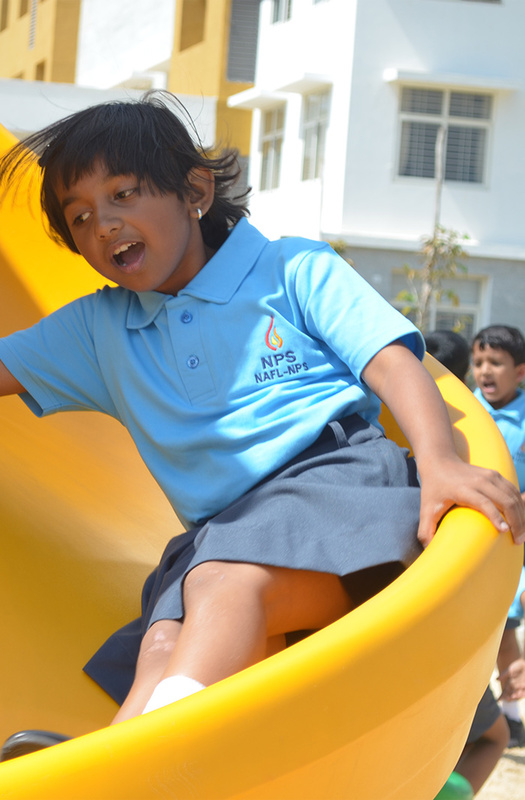 PE is an integral part of the school programme at our school. It gives students the opportunity to build motor skills, coordination, movement, and learn important life lessons such as discipline, persistence, patience, teamwork and cooperation, and stress-management skills. At NAFL-NPS North, students can choose from a wide variety of sports and physical activity like football, throw-ball, volleyball, basketball, badminton, tennis, table tennis, cricket, yoga, aerobics, swimming and athletics. NAFL-NPS North includes a Life Skills programme as a part of the curriculum. Adolescence is characterized by rapid physiological and psychological changes. As a part of the programme, students learn tools to manage their emotions, become more self-aware, communicate effectively and manage interpersonal relationships.